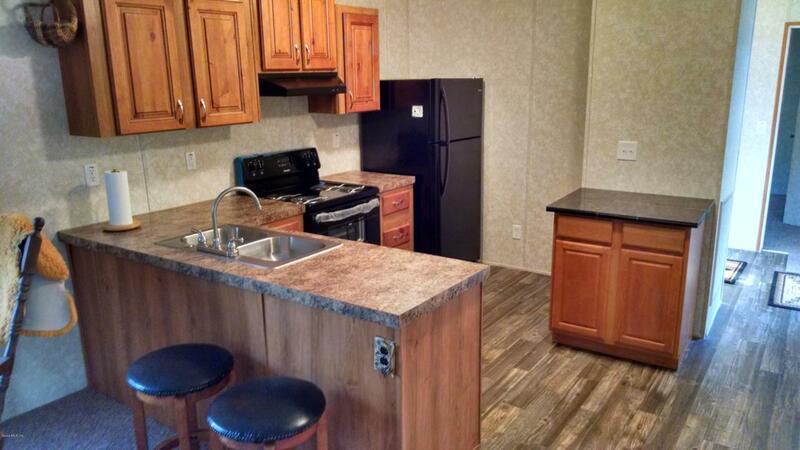 Remarks: Land and privacy...Brand new 2018 never been lived in ''Live Oak'' 14'x56' single-wide mobile home, comfortable and cozy, this home features 2/2 split bedroom floorplan with inside laundry room, double-pane energy efficient windows, open kitchen/family area with moveable center island in kitchen. 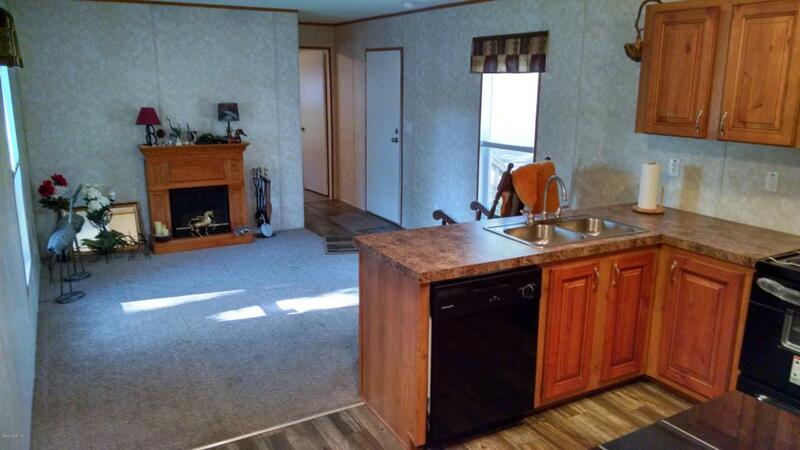 You'll enjoy the large 12'x24' private rear deck perfect for BBQ or relaxing with your morning coffee. 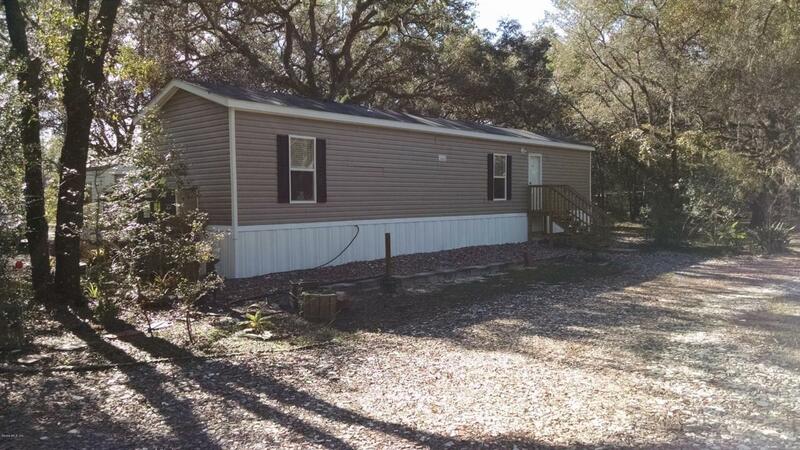 Lots of peace and quiet in a beautiful country setting (yet close to everything) with plenty of elbow room on fully-fenced 4 lots = 5 acres that includes established landscaping, several fruit trees, and beautiful grand-daddy oaks. Two detached storage units and a 40' steel shipping container will come in very handy for outside storage or workshop. No HOA and low taxes are a bonus!Shed adjoining the rear deck would make a perfect outdoor kitchen for family gatherings and entertaining. 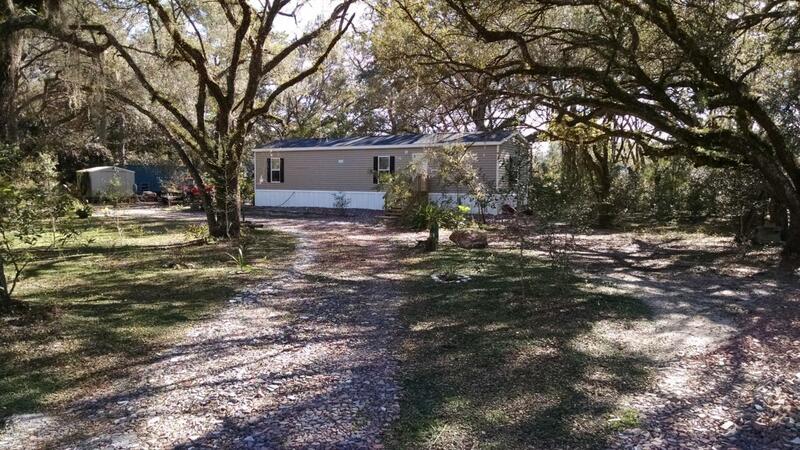 Listing provided courtesy of Roger Armbrister of Sellstate Next Generation Realty.